ARISS contact today: stream on the web or perhaps listen with your radio! Last night, my buddy Eric McFadden (WD8RIF) notified me that the International Space Station would be making a pass this morning and doing an ARISS contact with three schools in Belgium. It appears this pass will create an opportunity for some of us at least in eastern North America (and elsewhere) to listen to the transmission live. The frequency of the downlink should be 145.800MHz. 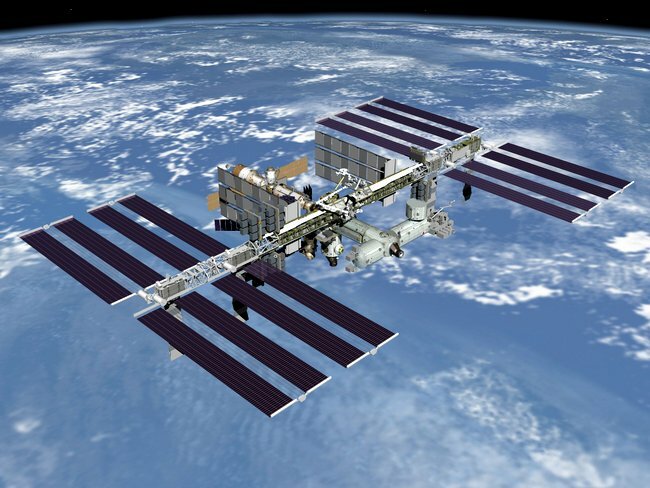 As the ISS climbs above your horizon, because of doppler-shift, listen on 145.805. Switch to 145.800 as the ISS approaches zenith. Switch to 145.795 as the ISS drops toward the other horizon. You’ll know when to switch frequency when the audio gets bad. […]The ISS runs real power so an HT with anything but the shortest rubber duck should be OK, particularly when the ISS is well above the horizon. A 1/2-wave whip on the HT is better. 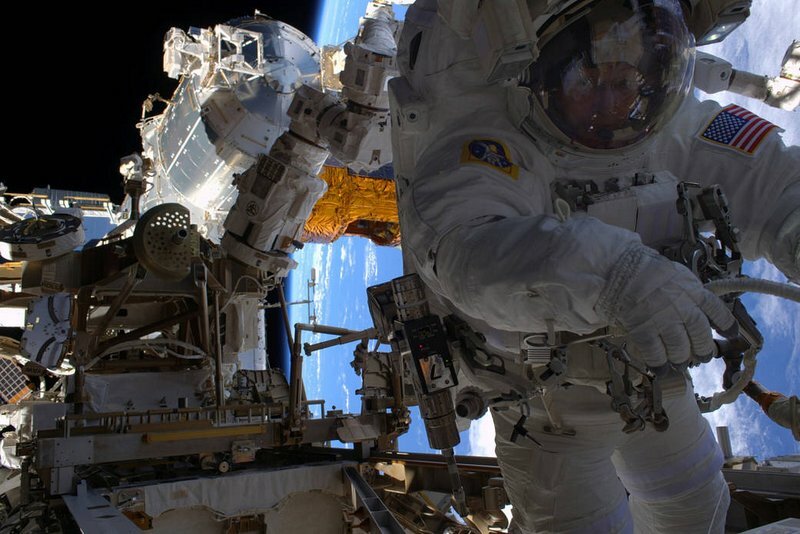 The contact starts at 13:47 UTC (08:47 EST)–about one hour from time of this posting. As Eric notes, pretty much any VHF handheld radio or scanner can easily receive this contact as long as you can tune to 145.80 MHz +/-. Last time I was in a place to tune to the ISS, it was with my kids and we all got a kick out of hearing astronauts answer questions from children here on Terra Firma. I wrote a short post about this. Don’t worry if you miss this ARISS contact–they happen all the time. Check the ARISS “Upcoming Contacts” (http://www.ariss.org/upcoming-contacts.html) page where future ARISS QSOs are listed. No doubt, it will pass over your part of the globe at some point! On Thursday 12 January 2017, an ARISS contact is scheduled with three schools in Belgium. Two schools will operate from the Euro Space Center. The radio contact is scheduled at 13.47 UTC, which 14.37 CEWT. The web streaming will start around 14.00 local time. Thanks again, Eric, for the tip! This entry was posted in News, Scanners and tagged Amateur Radio, Amateur Radio on the International Space Station (ARISS), ARISS, Eric McFadden (WD8RIF), Ham Radio, How to listen to the International Space Station, International Space Station, ISS, Scanners on January 12, 2017 by Thomas. Since I was a kid, I’ve always enjoyed listening to police, fire, public services/utilities, and aviation communications on scanners. Growing up, my father had a Regency Executive scanner in our living room, and he used it to listen to all of the local action before it was published in the newspaper the following morning. All so fascinating to a kid like me, listening in. Ah, those were the days…! 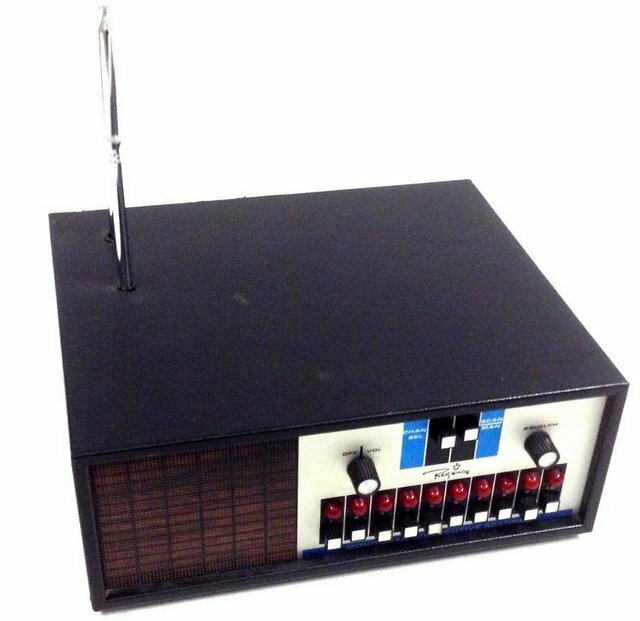 The Regency scanner was populated with crystals, and I fondly remember accompanying my father to our local radio shop to purchase new crystals for various frequencies. My father still has and uses this scanner today––evidently, a few of our hometown services still use the same frequencies they used back in the 1970s. As the years have passed, public services moved to more complex communications systems including trunking, and now a host of digital modes have come to the fore, some even encrypted. My interest in scanner technology frankly waned during the 1990s. I suppose this had to do with the amount of travel and moving I was doing at the time. In the 1990s, for example, I lived in at least seven different communities in two countries. Between 2000-2010, I lived in five different communities in three different countries. I always remained dedicated to shortwave radio, of course, because while frequencies changed, I could receive many stations in Europe that I could also receive in North America. I knew that scanner frequencies, by their very nature, vary community-to-community, so I didn’t bother. Truth is, I simply lacked the patience to program (relatively complicated) scanners. Not to mention, I was really put off by the idea of traveling with a scanner, thus requiring a thick frequency guide just to hear local services. I n the past few years, technology has made a big leap forward in the scanner world. 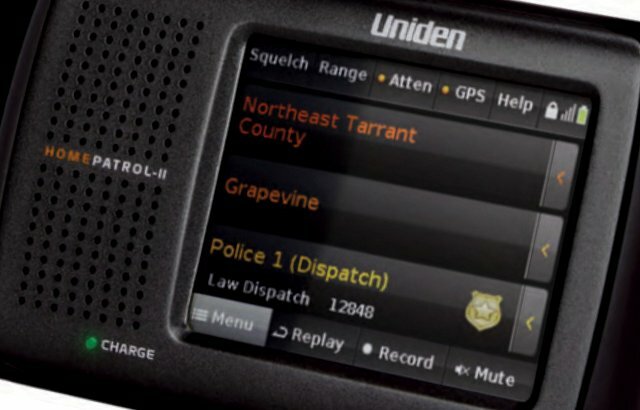 With robust on-board memory, GPS capabilities, and dynamic frequency databases searchable by postal code and/or GPS coordinates, keeping an up-to-date scanner is now a great deal easier––brilliant developments for a scanner newbie like me! So, exactly why do I want a scanner all of a sudden? I mainly want one to keep in the messenger bag I carry with me everywhere. I’d like something to take on travels, perhaps help me listen in on traffic problems or simply eavesdrop on the local public service scene to understand what’s happening around me. Moreover, I find I love listening to aviation frequencies! And though I travel with other radios, the ability to tune NOAA frequencies would be super, too. I started thinking about scanners last year when we experienced a forest fire in our community. We discovered the fire as we traveled home that day, and found our local road blocked to traffic for about an hour as emergency vehicles moved in. Fortunately, I carry a Yaesu VX-3R in my messenger pack and was able to find the frequencies the fire department was using to communicate with the fire-spotting plane circling overhead. It gave me some measure of comfort to hear that things were almost contained at under twenty acres. In truth, many of us were thinking through a possible evacuation scenario since, at the time, massive forest fires were flaring in various parts of the state. So, here’s my question to readers in-the-know regarding scanners: can you help me find the perfect scanner for the following requirements…? 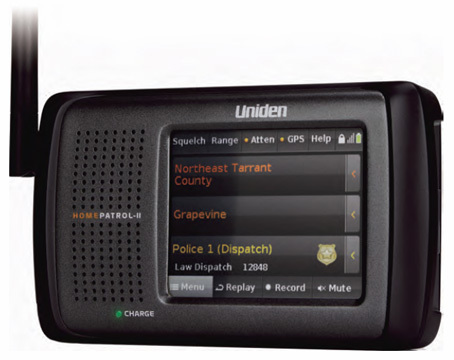 A friend recommended the Bearcat/Uniden BCD436HP, a scanner that seems to have a lot of the functionality I seek. I know that Uniden Homepatrol II is also recommended by many. Also, the Whistler company has a number of scanners and a large following, as well. Post readers, can you help me out? What sort of scanner do you recommend, and why? This entry was posted in News, Scanners and tagged Bearcat Scanners, Scanner Choices, Scanners, Uniden Scanners, Whistler Scanners on January 9, 2017 by Thomas.